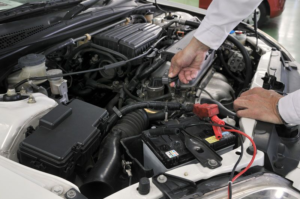 Learn how to keep your car up and running. Now, more than ever, drivers are making a serious effort to extend the lifetimes of their vehicles. Unfortunately, the longer you own a car, the more miles it accumulates. This puts a considerable amount of strain on your car’s engine and other mechanical parts. Luckily, there are steps you can take to ease the burden of all these miles on your car. Here are some steps to take to keep your high-mileage car running smoothly. You need to change out your car’s oil regularly, about every 3,000 to 6,000 miles. The longer you own a car, the more frequently you should check your car’s oil levels. Allowing your levels to drop too low can negatively affect your car’s efficiency and will cut down on its lifespan significantly. Make note every time you change out your car’s oil, so you know when to schedule the next one. Many car owners don’t spare their car’s owner’s manual a second thought. However, this booklet contains a comprehensive listing of everything you need to do to keep your car working as efficiently as possible. So, skim through your manual to ensure you are taking the necessary maintenance steps. Finally, do your best to keep your car in enclosed places, such as a garage, when you’re not driving it. This is because exposure to weather conditions will wear your car down faster, cutting years off its lifetime. Exposure to the elements doesn’t just affect the appearance of your car; it also compromises its internal parts as well. So, if you want to keep your car in good condition for as long as possible, minimize its contact with extreme weather. These are some of the steps you should take to keep your high-mileage car running smoothly. Want another way to take care of your car? Make sure you have the right auto insurance in place. Contact the experts at VGW Walker Insurance in Texas for assistance with your car coverage needs today.